It is now 16:45 on Friday, April 12, 2019. To those intelligible enough to read Daedric. This humble user bids you welcome to his page. Enjoy your visit and feel free to take a cookie. I'm penguin0719, and I've been a member of the wiki for about 3 years now. 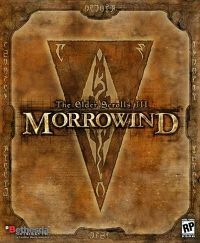 I've played both Morrowind and Oblivion, and have a fairly extensive knowledge of both. I've also played Knights of the Nine and Shivering Isles for Oblivion, and Bloodmoon and Tribunal for Morrowind. I play on a 360, which I've had for 4-ish years now. In the time since I've joined UESP, I've completed high school and gone on to college. I'm studying physics right now with the intent of going into particle physics and working somewhere like CERN or Fermilab after I get my degree. My first console was a Nintendo 64, way back in 1995. I got my Playstation in 1997, and my Playstation 2 in 2001. I played on that for years and years, mainly because there wasn't anything else worth getting. Originally I wanted a PS3, but with the cost at over $600, there was just no way. So, on my 16th birthday, I got my 360, which I've been playing on for several years now. Oblivion was actually the first game I ever played on 360, and it just stuck after that. For those concerned with semantics, my name is penguin0719, not Penguin0719. If you can't read italics, it means that my name is spelled with a lowercase "p" and not an uppercase "P."
This user thinks Dunmer rock. Personally, I like Oblivion just a little bit more than Morrowind. Oblivion has better gameplay, sound, and graphics. I also like Oblivion because it's just easier to use. With fast-travel, it's a lot easier to move around the map. 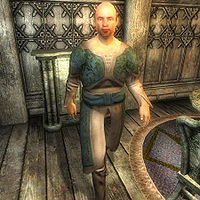 But, fast-travel also means that you miss out on the world, which is one of Morrowind's big selling points. Morrowind is a good game, and just barely lost to Oblivion by only a few points (not really, but I had to give some sort of metaphor). The open world gives it a bigger feel, although in comparison, Oblivion is actually bigger. I also think Morrowind's story is a little better, centering around the Nerevarine and Dagoth Ur. 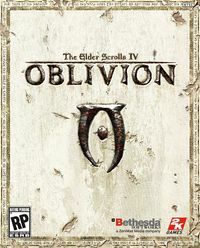 I began Oblivion:Oblivion for Morrowind players. Take that for what it's worth. Signature: A page I wrote using mediawiki templates to auto-generate my signature. I guess this was a given, so here they are for your viewing pleasure. This user is a Guardian in the Fighters Guild. This user is a Defender of the Realm in the Court of Madness. This page was last modified on 18 December 2013, at 23:21.